Yep, I said kale chips. Wha-wha-what? This from the same lady that brought you cherry pie, blueberry cobbler and strawberry cupcakes in recent weeks? Yes, and those are precisely the reasons why kale chips are now called for. I’m going to be honest with you, until about a year ago I had never eaten kale. It just looked (and sounded) like it would taste bad. I envisioned it being bitter and chewy and not nice at all. But oh was I wrong! 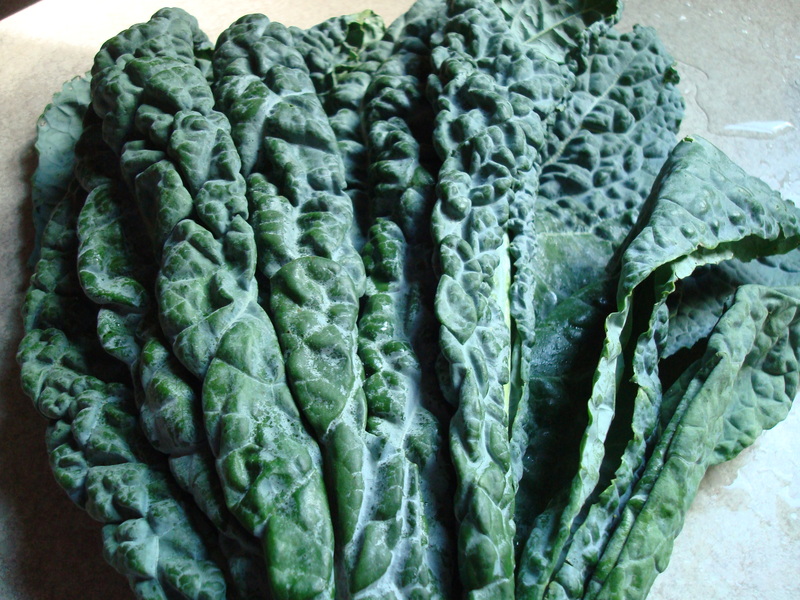 There are several kinds of kale– I usually buy the curly-leafed kind that you find in grocery stores, but this weekend at the farmer’s market they had this lovely blue-green, flat-leafed variety and I couldn’t resist. I’m all about aesthetics. 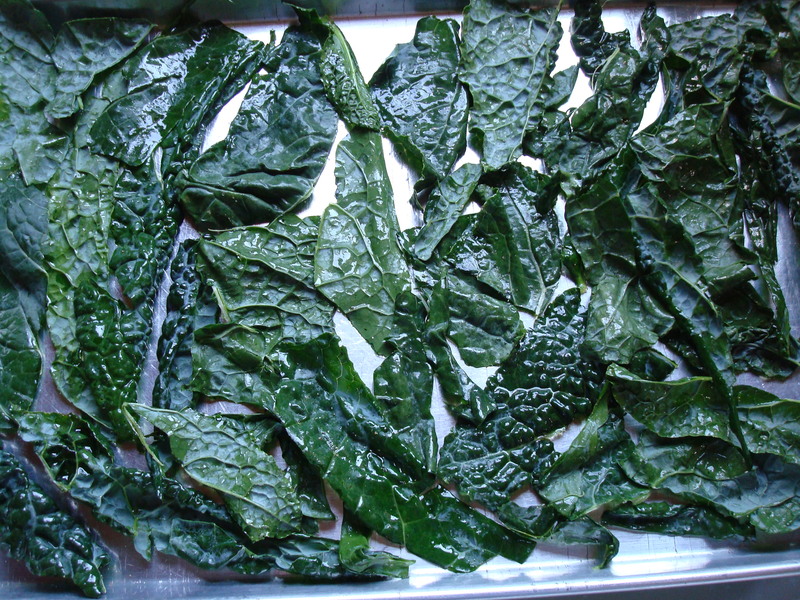 Plus, the flat-leafed kind takes less time to bake– a major bonus during the summer months when you want to have your oven on as little as possible. 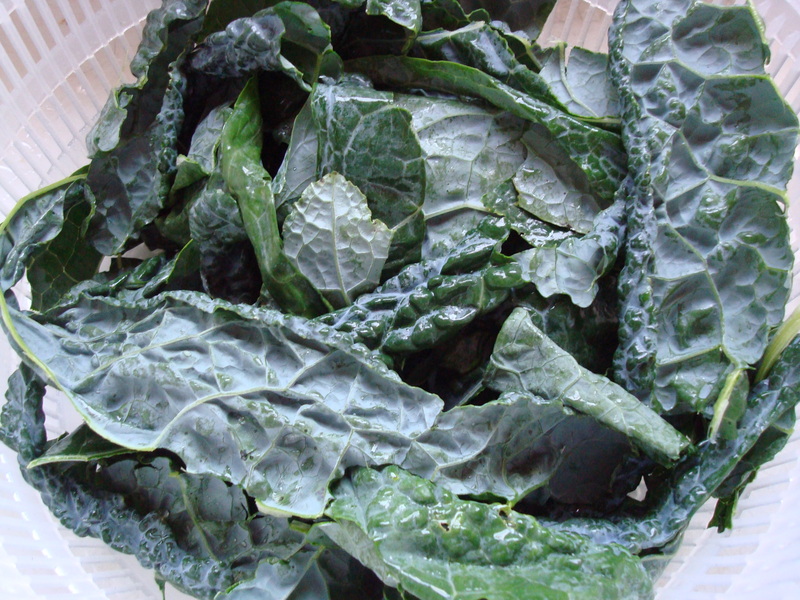 Apart from kale the only other ingredients you need are olive oil, salt, and pepper. So simple! 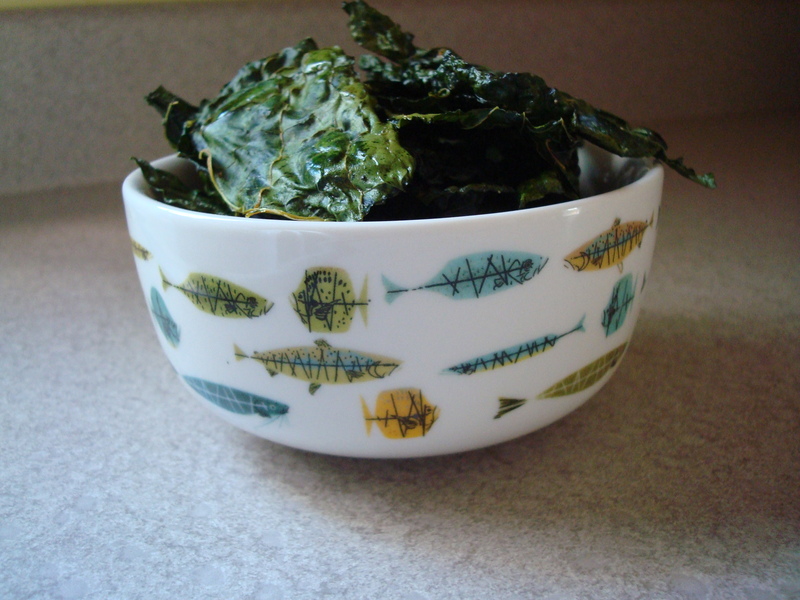 You just rinse the kale (I put mine in my salad spinner to dry it off, but you can also pat it dry with a paper towel), toss it will a little olive oil and then sprinkle with salt and pepper and that’s it! Anyone can do this. This is the tastiest health food you’ve tried in a while. It tastes like it should be bad for you but is really so good for you. It’s packed full of beta carotene, vitamin K, vitamin C, lutein, and calcium. I just read that on wikipedia. Apparently it is also an anti-oxidant and anti-inflammatory and may contain anti-cancer properties. Can Doritos do that? I think not. Better get to it! Ah, I can’t believe you did not try kale chips first from my stash. 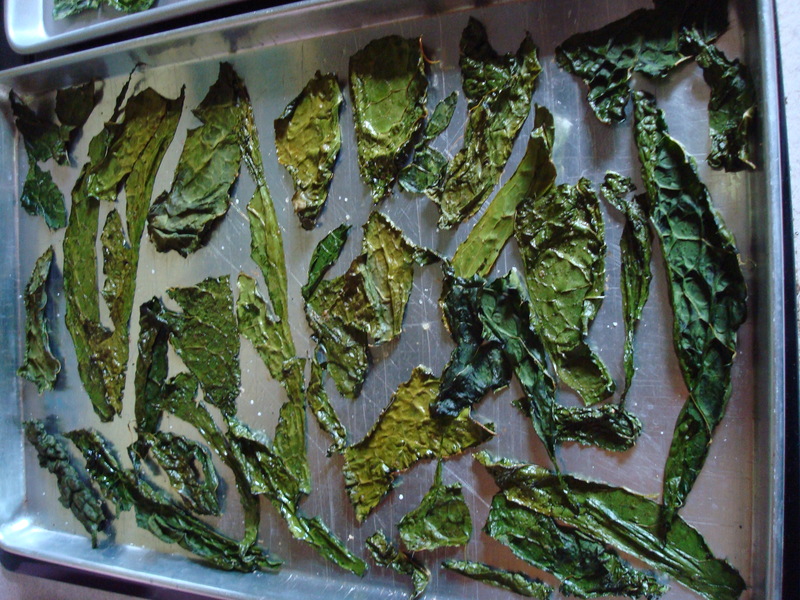 I have been dehydrating and making them for four years now. One of my fav snacks and I make them for several friends. 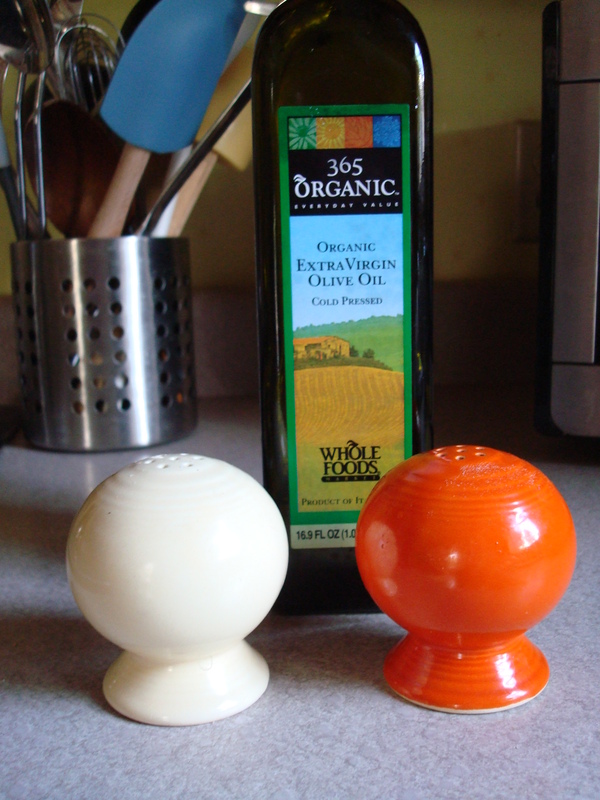 I have about five different sauce/seasonings for them too… KJ, we need to spend a day comparing notes. I’m late to the game again! But as they say, better late than never… I’ll definitely take you up on the offer!